Suitable for all stove types, including induction ovens. Bottom with pulled through steel core with fast heat conduction and perfect heat storage for energy-efficient cooking. Material: Pan made of Silargan - dishwasher safe functional ceramics. Easy to clean non-porous closed surface, cut and scratch resistant and tasteless. Nickel-free inner and outer ceramic Silargan surface. Perfect for searing at high temperatures. Wide pouring edge for drip-free pouring. Ergonomic stainless steel handle for safe handling. Cleaning: Dishwasher safe. Made in Germany - Premium quality made in Germany. 30-Year warranty for the inner and outer ceramic Silargan surface with intended use. Braising pans are perfect for hearty meals such as braised beef, whereby red wine, meat juice or vegetable stock is added and then slowly stewed. Vegetarian and vegan dishes can also be made in a braising pan, which has very good heat distribution properties. How about some fried sweet potatoes with crunchy carrots and bell peppers, fresh herbs and marinated tofu? Be creative, try something new and express your passion for cooking. The name says it all: the cookware series Passion turns cooking into a passion. Available in a range of bright colours – Passion Green, Passion Yellow, Passion Orange, Passion Red and Passion Black – the deep and shallow casserole pans not only inspire enthusiasm, they also look good. They come in diameters of 16 to 24 centimetres and are ideal for searing meat and cooking fish and vegetables on a low temperature. The see-through lid made of high-quality, heat-resistant glass and featuring a stainless steel rim sits firmly in the pan, while the non-porous Silargan surface is cut-resistant and non-abrasive. The hollow handles with ample finger room ensure a secure grip, never get hot and are ovenproof. A wide pouring rim enables easy pouring and draining of liquids. The pans are suitable for use on all types of hob, including induction, while the drawn steel core conducts heat quickly and evenly up to the rim of the pot and retains it for a long time. The collection also includes a saucepan and a gourmet roasting pan with glass lid. All items can be cleaned in the dishwasher. Silit gives a 30-year guarantee on the inner and outer ceramic Silargan surface if the product is used as intended**. ** The 30-year guarantee is for the inner and outer ceramic Silargan surface of the cookware. The guarantee only applies if the product is used as intended. Further details about the scope of the guarantee and proper use can be found in the instructions for use enclosed with the products. Product properties Wide pouring rim for drip-free pouring. These frying pans let you concentrate on the cooking! Whether you're frying a steak to perfection or preparing the perfect pancake – frying pans are a must for every kitchen.  As a result, WMF is committed to developing ever better products. The smallest of details make all the difference when frying. Whether you're cooking a succulent steak, a perfectly cooked fish, any of a range of recipes with eggs or just making pancakes, having the right kind of frying pan makes your job so much easier. Equip yourself like a pro with WMF, for any purpose! Our high-quality frying pans are the perfect all-rounders for a range of uses in everyday cooking, from diced meat to omelettes and fish. WMF offers sophisticated special frying pan models for culinary delicacies to make life easier for yourself when cooking certain dishes. Your crepes can be guaranteed wafer-thin thanks to our wide crepe pans with flat edges. Grill pans have a ribbed surface to guarantee not only quick and gentle frying but also to give your food a more intense flavour and an appetising look. Special woks which distribute heat evenly are suitable for cooking delicate food. Normal frying pans often don't have edges high enough for stewing. That's why roasting pans are designed with extra high edges. As we all know, we all have different tastes. This doesn't just apply to food but to cookware as well. That's why WMF frying pans are made from a variety of materials. All models can withstand high temperatures and are especially robust and easy to clean. We choose to use high-quality Cromargan® steel for our stainless steel frying pans, which is known for being resistant to acids, stable and hygienic. It goes without saying that our frying pans are dishwasher safe and have excellent non-stick properties – prolonged soaking and stubborn deposits that can only be removed using steel wool are a thing of the past! Of course we also stock cast iron frying pans in our assortment as well as particularly lightweight models made of non-stick coated aluminium. You can find an enormous choice of different frying pans at WMF. You can choose from our tried-and-tested collections, which often go with our other WMF pans, as well as various diameters from 14 to 32 cm. We're always working to improve our products – have a look at our selection of frying pans and discover what our products can do already!